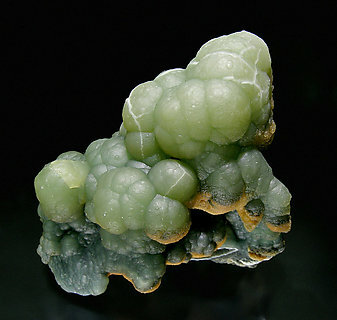 An excellent specimen of this rare hydroxide, a polymorph of Gibbsite. 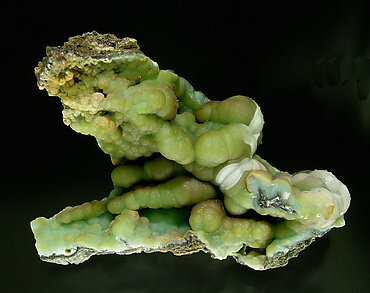 Both species are present on this beautiful miniature of botryoidal forms and esthetic green color. 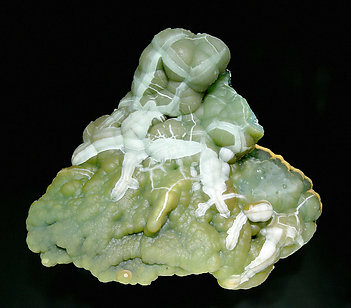 An excellent specimen of this rare hydroxide, a polymorph of Gibbsite. Both species are present on this beautiful miniature of botryoidal forms. We’ll give the results of the analysis to the buyer. The specimen has been published in the book ‘China’, by Berthold Ottens, on page 489. Esthetic specimen of this rare hydroxide, a polymorph of Gibbsite. Both species are present on this nice miniature of botryoidal forms and excellent color, with nice changes of shade from green to brown, with white strips and spectacular greasy luster present on very few specimen. We’ll send the analysis to the buyer. 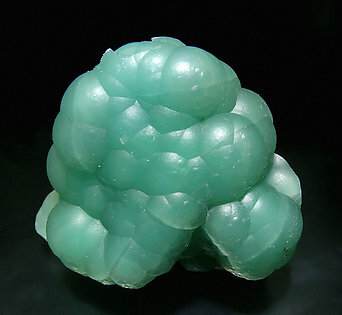 An excellent specimen of this rare hydroxide, a polymorph of Gibbsite. Both species are present on this beautiful miniature of botryoidal forms and esthetic greenish color with attractive clearer, almost white, stripes. This specimen was photographed and published as a novelty at the 2006 Munich Show in the magazine ‘Le Règne Minéral’ number 72, page 15.